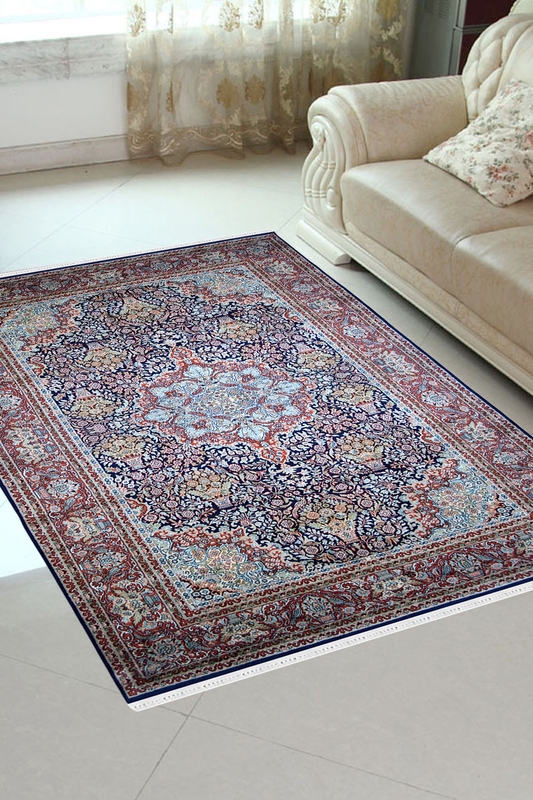 Buy this beautiful handmade silk area rug which is intricately woven in pure silk and cotton material. It has taken about 7-8 months to weave. This is absolutely ideal for a living room. This silk carpet is hand-knotted in India, and is modelled on traditional Persian carpets. The oriental patterns in the carpets consist partly of medallions and repeating patters, but with the typical garden motif. The carpets are very high quality and thanks to the choice of material of silk, they are thin and light, with a beautiful shimmering lustre. Using silk also makes detailed patterns possible and the precision in the work behind the carpet is impressive.